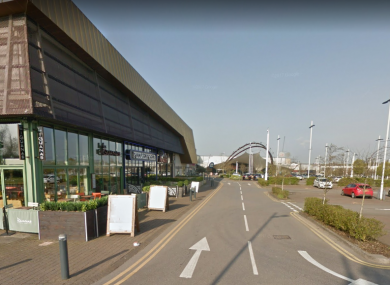 A 16-YEAR-OLD boy has sustained potentially life-changing injuries after an unknown substance in a bottle was sprayed in his face in England. The boy had an unknown substance sprayed in his face following a dispute with another male at around 8.45pm yesterday evening. Avon and Somerset Police have said that the substance was possible a type of corrosive. The public have been warned that the bottle used in the incident hasn’t been located yet. “If anyone finds a discarded bottle containing liquid in the immediate area, we’d ask them not to pick it up, but please alert one of the police officers at the scene,” Detective Inspector Richard Marsh said. Marsh described the incident as “very concerning”. “The victim is being looked after in hospital by medical experts but has some serious injuries which may be permanent,” he said. A cordon has been put in place and enquiries are ongoing. Email “Boy (16) suffers potentially life-changing injuries as 'unknown substance' thrown at face in UK”. Feedback on “Boy (16) suffers potentially life-changing injuries as 'unknown substance' thrown at face in UK”.